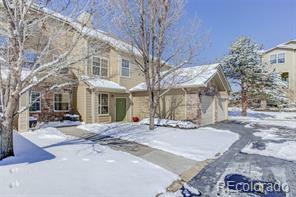 Beautifully kept home with panoramic views of Longs Peak and the foothills is located within walking distance of Fossil Creek Park, Southridge golf course and walking trails in convenient southeast Fort Collins. Relax on your balcony and enjoy the sunset in this 2nd floor condo with attached 2-car garage featuring abundant natural light, open floor plan, gas fireplace and private master suite with 5-piece bath. All kitchen appliances stay plus the washer and dryer for a great value.